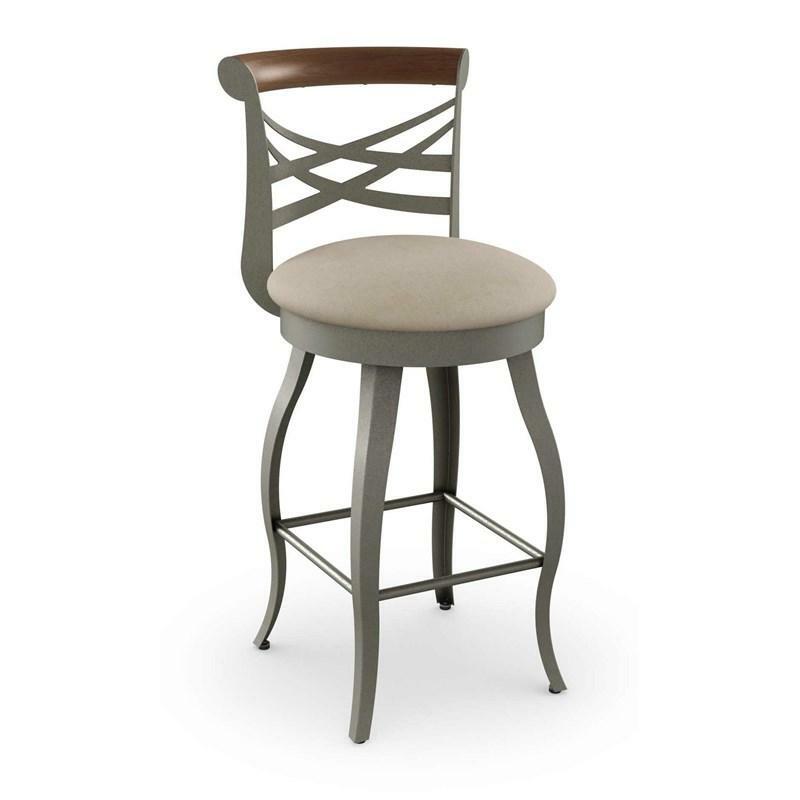 Standing proud, this Whisky swivel stool by Amisco epitomizes the Library Luxe collection. 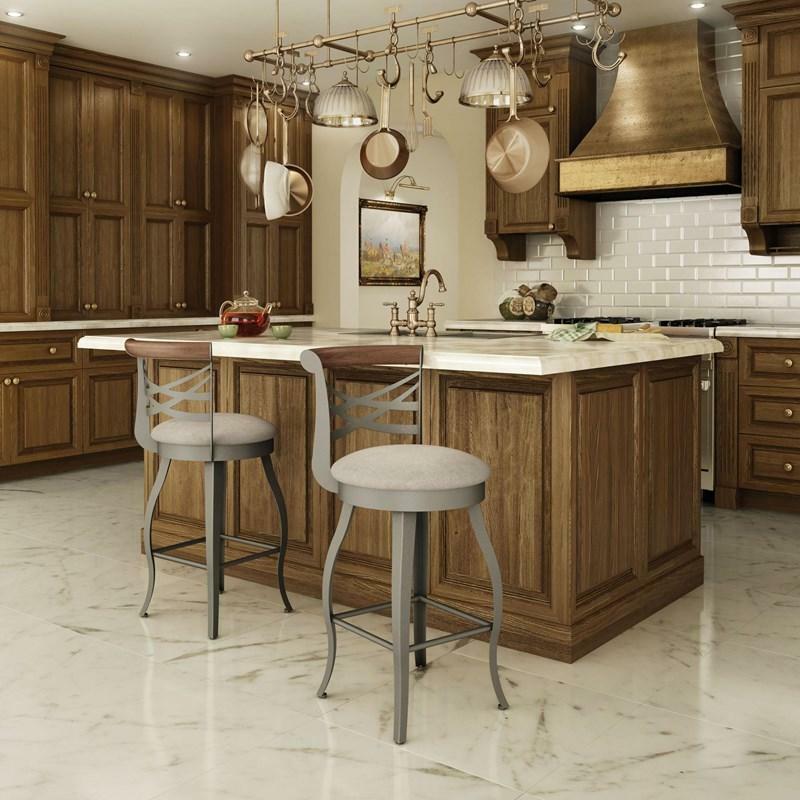 Its signature esthetic comes from a fusion of rounded shapes, strong lines, and noble wooden accents. This stool seems to embody the spirit of detail. In a class of its own, the back design will withstand the test of time and outlast fleeting trends.